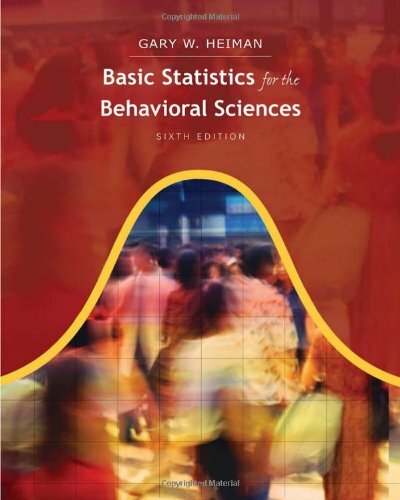 BASIC STATISTICS FOR THE BEHAVIORAL SCIENCES demystifies and fully explains statistics without leaving out relevant topics or simply presenting formulas, in a format that is non-threatening and inviting to students. The author's clear, patiently crafted explanations, with an occasional touch of humor, teach students not only how to compute an answer, but also why they should perform the procedure or what their answer reveals about the data. The book achieves several objectives: it presents a conceptual-intuitive approach, presents statistics within an understandable research context, deals directly and positively with student weaknesses in mathematics, and introduces new terms and concepts in an integrated way. The result is a text that students can learn from as well as enjoy. Gary Heiman is a professor at Buffalo State College. Praised by reviewers and adopters for his readable prose and effective pedagogical skills, he has written four books for Houghton Mifflin (now Cengage Learning): STATISTICS FOR THE BEHAVIORAL SCIENCES, RESEARCH METHODS IN PSYCHOLOGY, UNDERSTANDING RESEARCH METHODS AND STATISTICS, AND ESSENTIAL STATISTICS FOR THE BEHAVIORAL SCIENCES. He received his Ph.D. in cognitive psychology from Bowling Green State University.